With the onset of summer vacations, I had started shortlisting various fun places within the city that I can take my kids to. One of them being SMAAASH located at Cyber Hub, Gurgaon. 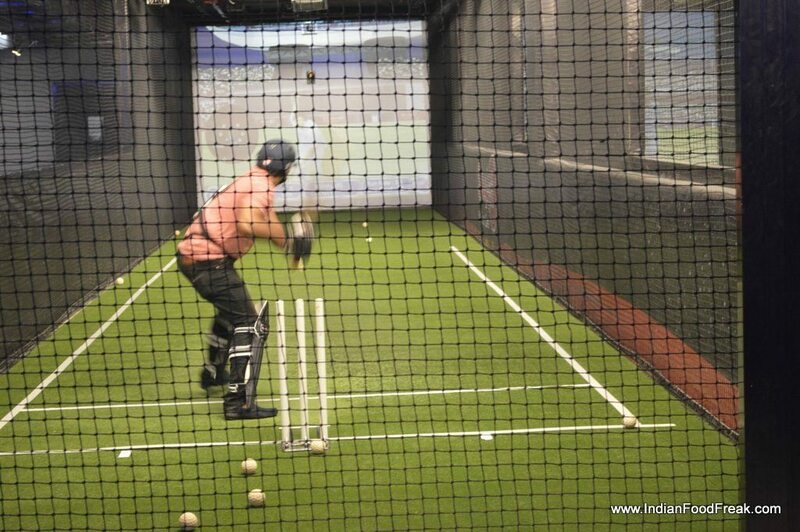 Smaaash has three centres; one in Noida which is a gaming centre, second at Gurgaon Sector 29 which is a go-karting zone and the third at Cyber Hub Gurgaon which is again a gaming centre. Gurgaon Cyber Hub itself is a great place to visit with several food joints and entertainment hubs. 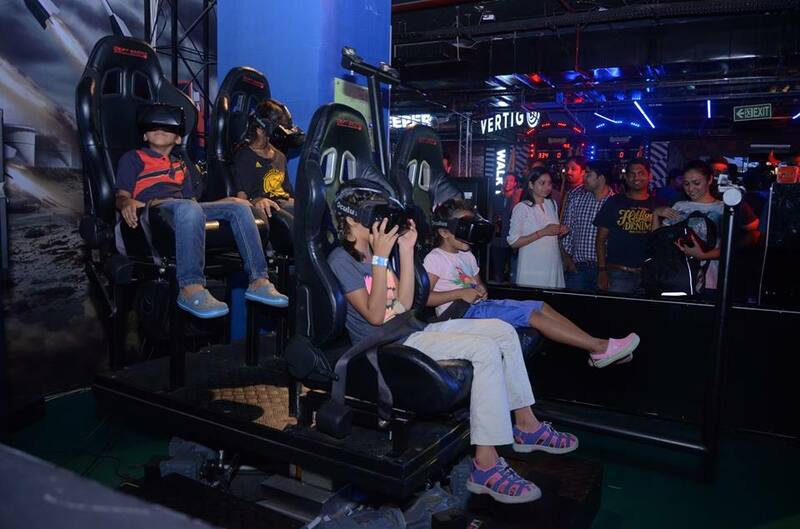 SMAAASH is the only place in India to offer Virtual Reality Gaming experience. 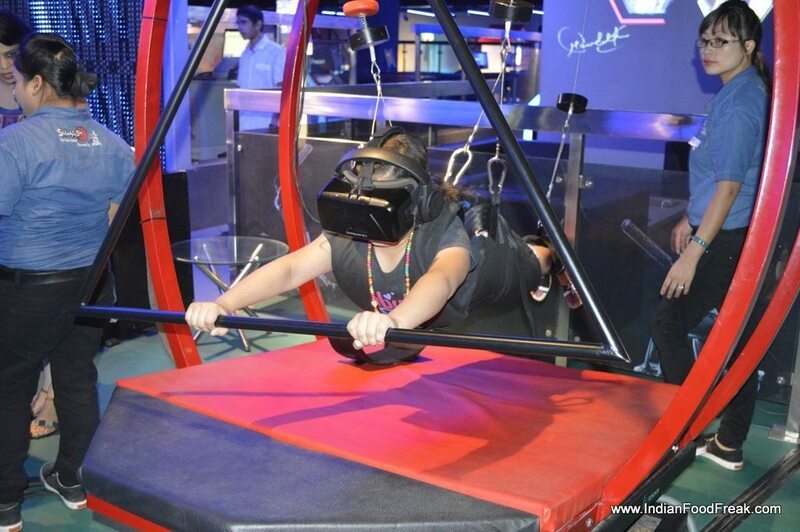 It has virtual and simulator games like Magic Carpet Ride, Finger Coaster (virtual roller coaster), Walk the Plank, Flymax, Vulcan Force, War on Wheels, Jurassic Escape and many more. 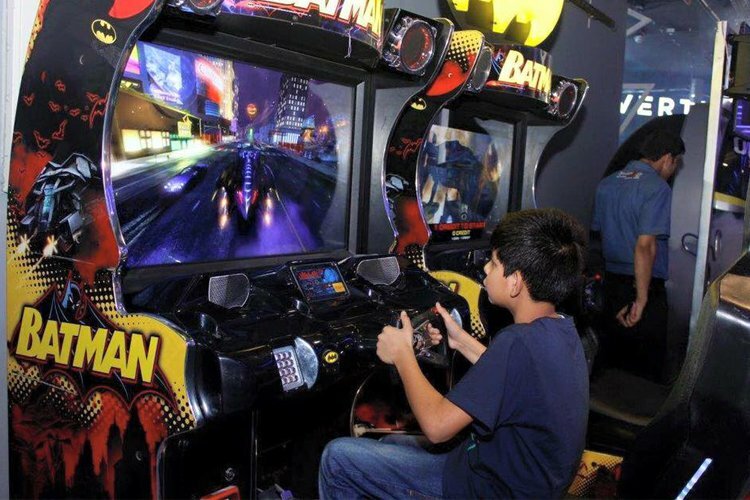 For kids it has Bumper cars, Virtual dance floor, virtual ice skiing, smart arcade with vintage favorites like PAC MAN, Air Hockey, Deal or No Deal to name a few. For sports fans, it has Cricket, Super Keeper and Bowling. SMAAASH also has its own bar and dining area which offers quality food at a reasonable price. SMAAASH is one place which offers entertainment for the entire family. There is no minimum entry fee required. You pay as you go for every game. All the games require special skills in terms of aptitude, fitness and stamina. All the games are highly interactive and exciting. These games give you a level of excitement and thrill for real life experience. The place offers you all services under one roof – great food, foot tapping music, variety of drinks, games, entertainment, thrill and excitement, all in one. What is so thrilling about SMAAASH? You must have seen horror movies. But have you ever been a part of any? In Haunted Hospital, we felt as if we were not just watching but were a part of the most terrifying horror movie. Ghosts could not be any scarier than in this Haunted Hospital Virtual game. We almost lost our balance while we were riding on the magic carpet. Flying through the mountains and valleys and experiencing the thrilling magical carpet reminded me of Aladdin from my favourite animated movies Aladdin and the Magic Lamp. Jurassic Escape takes you through the Jurassic Era where we were running after by the deadliest dinosaurs and felt almost being eaten by them. Kids can never get to see dinosaurs any closer than this for sure. SMAAASH Cyber Hub has a virtual dance floor (Dance Off game) which was an instant hit among my kids. It was almost impossible to get my kids off the dance floor and stop them from following the dance moves of the virtual dancers. For the men, it’s almost a dream come true to play on an international pitch and bowled by Shane Warne and Malinga. They get a dedicated lane in cricket to themselves where they can bat for as many overs as they like based on the package selected. Driving a car and riding a bike on the road is of no match against a bike race and a car race at Smaaash. For those who love speed, here is a chance to be a part of a bike race and car race. Leisure bowling was another big hit for my family where in all of us indulged in a friendly match and played together. Even our little kids were surprised to see their parents playing and enjoying like children. SMAAAASH has a lot more to offer you and is sure to give you an entire day full of thrill, fun and excitement. So, go ahead and have a fun filled day with your family and kids this summer.